If you are a rather visual person with a keen sense for interior aesthetics, I am more than sure that you have been in the situation when you can’t stop looking at that empty space in your living or dining room, unable to figure out what could possibly blend in with the existing interior. Well, many people have found the solution to this problem in a useful piece of furniture called – sideboard, or as some people like to call it – the buffet. Besides from looking great in almost every scenario, its amazing storage capabilities make it perfect for keeping some things that you use regularly. Sideboards were originally designed to assist formal dining services. They include various configurations like closed or open shelving accompanied by glass cabinet doors. By opening the cabinet doors, you have access to more shelves, allowing you to store more items. Besides the storing option, you can use sideboards to showcase items on top of it. If you intend to buy one for the purpose of display, you have to consider the height of the shelf so that people that come to your home cam have a good look at the belongings you want displayed, whether that’s a diploma, a trophy, a frame with pictures, or anything noteworthy. As aforementioned, the sideboard is a versatile piece of furniture, so not only can you put it in its traditional place – the dining room, you can also use it in pretty much any other room. It keeps a low profile and it doesn’t get in the way, so you can use it at the end of a hallway, in the kids room, or even in the master bedroom as an alternative for a dresser. Moreover, if you don’t have too much decor in your room, the sideboard is the perfect piece of furniture that will allow you to put some fancy things on it, whether it’s a record player, a DVD, or any other piece of equipment, as well as a post lamp or a bunch of flowers. 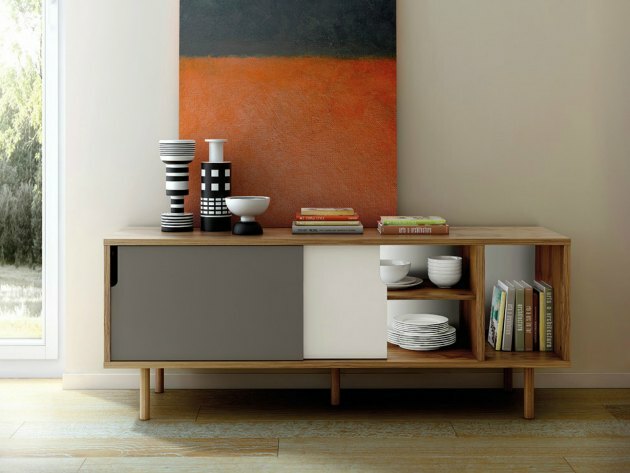 To conclude, sideboards, most often wooden ones, with the exception of some minor design alternatives, are a versatile and multipurpose piece of furniture. Since it was developed for the dining room, most commonly, it can be found is by the dining table, as to assist dinner service. However, in recent times, its uses have expanded considerably and it’s a piece of furniture that can often be found in the living room, the kids’ room, the bedroom or even at the hall. So why wait? Fill that empty space that has been bothering you for a long time with a sideboard, and enhance your interior simply by purchasing this single piece of furniture. How Important is Choosing the Right Potting Mix for Your Garden with Pots?